Instantly add three lenses, detachable flash, and other enhancements to any smartphone camera. The iPhone comes with a crazy good camera. But at the end of the day, any camera is only as good as its lenses. So if you want to get better or more diverse kinds of photos from your iPhone, you’ll want to upgrade its glass. 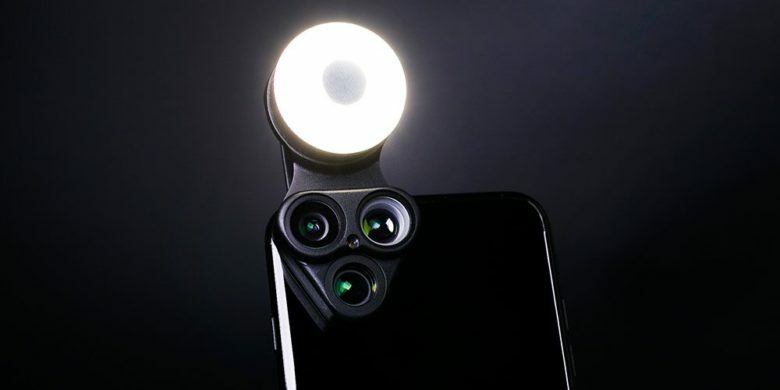 The RevolCam adds three high-quality camera lenses, adjustable brightness LED, and selfie mirror to any smartphone. Easily revolve between wide angle, fisheye, and macro lenses with a flick of the finger. The detachable LED makes for a powerful lighting enhancement, adding flexibility for taking great photos in all conditions. The whole thing is lightweight and easy to attach and remove, so it’s a handy addition to any gear bag. Buy now: Get the RevolCam for $24.00, with promo code ‘CMSAVE20‘ that’s 59 percent off the regular price.